Knauer, a soloist with the Hamburg Philharmonic, performs four timeless pieces by Mozart, Bach, Schubert and Beethoven in this DVD. Includes an interview with Knauer. 64 minutes. 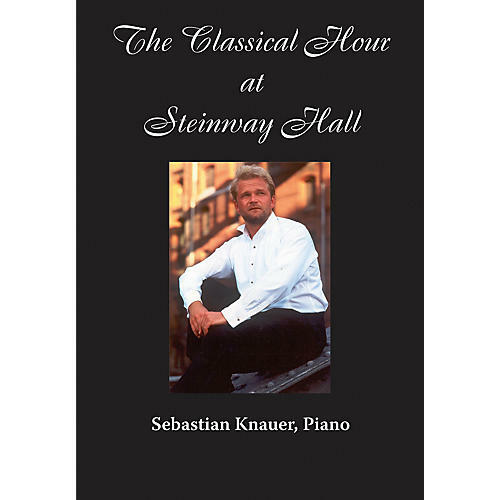 Sebastian Knauer has performed all twenty-seven Mozart piano concertos. He tours extensively with the Brahms Ensemble, which he founded in 1996. He has performed in major concert halls in the United States and Europe, as well as Israel, Indonesia, and the United Arab Emirates, and collaborated with world-renowned conductors, including Neeme Järvi, Christoph Eschenbach, and Philippe Entremont. A prize-winner at numerous competitions, he made his concert debut at age thirteen and shortly afterward made his international debut in Venice as part of a European Concert series organized by RAI, Italy's state television and radio.